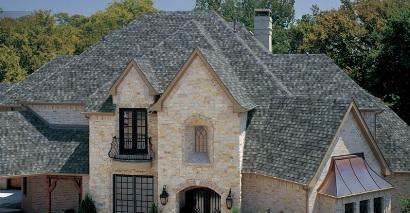 DFW Best Roofing is a premiere roofing company that is second to none in the Dallas / Fort Worth area. It is our mission to make every property we work on better then the new roof before. It is our mission to make every client happy and satisfied. DFW Best Roofing specialize in extra-large shingled roofs that are commonly found on large churches/ mosques/ synagogues and multi-unit apartment buildings. While these roofs are built from the same components as all shingled roofs, they require installers who carry a whole new set of skills, and we are proud to say that our “Roofing Pros” installers are a cut above the rest. We can repair any problem. While other roofing companies only know how to nail on shingles, "DFW Best Roofing" are skilled in every trade of construction. This means that you can count on us to fix any damage to your home such as rotten decking, rotten sofit and facia, and even damaged chimenys. We don't just stop there, DFW Best Roofing offer a wide array of services such as siding, gutters, window replacement, skylights, etc. When you hire DFW Best Roofing to install your new roof, you can be proud in knowing that we use only the highest quality materials available today. "Our Name Says It All!" "DFW Best Roofing" is a Dallas / Fort Worth Metroplex roofing company that serves the entire state of Texas with quality commercial and residential roofing services. We have Hundreds of satisfied customers in towns all over the state. It’s no surprise that when you see our name “DFW Best Roofing”, you don’t have to wonder what it is that our company does. However, you may wonder, “Why should I hire DFW Best Roofing to install my new roof?” The answer is simple. DFW Best Roofing pros are committed to providing the people of Texas highest quality Materials, Labor, and Roofing Systems available, while offering service that is second to none, and doing so for a price that is affordable for our customers. With over 10 years of experience, you can be sure that our highly skilled roof installers have seen almost every situation and have the expertise to get your job done right. We use the best materials available with Manufactures Warranties from 20 years to Lifetime! 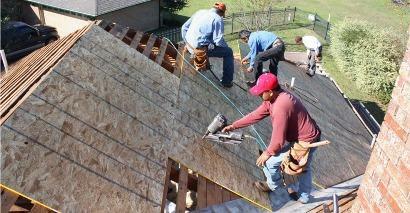 We are a Low Cost Leader in quality roof replacement. Get a written estimate from any roofing company in Taxes and if we can’t beat their price, we’ll give you a $25.00 gift card to the restaurant of your choice. on All Roof and Home Projects! Refer a friend and we will give you $100.00 Cash if we get their job. 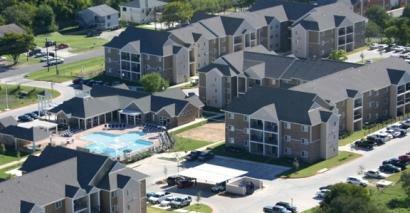 All you have to do is give us a call at 817 381 6855 with heir information. 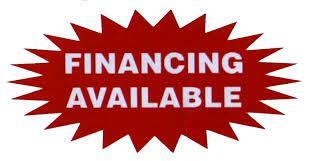 We will contact them and once their job is complete, we will give you $100.00 Cash. “DFW Best Roofing” have got you covered. We understand that your roof is a valuable asset and is the first line of defense from the outside elements. That’s why our team of roofing professionals is ready to serve you, from minor roof repairs to a full scale roof replacement that will last a lifetime. And we don’t stop there. We offer a full list of services that can spruce up the exterior of your home to match the great looks of your new roof. We can even repair interior damage caused by your old roof once we’ve stopped the leaks. 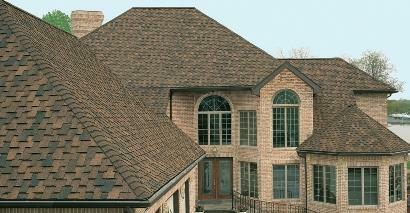 “DFW Best Roofing” specialize in extra-large shingled roofs that are commonly found on Churches and apartments. While these roofs are built from the same components as all shingled roofs, they require installers who carry a whole new set of skills, and we are proud to say that our professional installers are a cut above the rest. Not only that, we constantly clean the job site so your parking lots can stay in use and people can come and go as needed, plus we don’t waste time. We get it, get done, and get out so that things can get back to normal fast. Best of all we always work around your schedule and we offer the same great labor and materials warranties. If you are a business owner, you know that quality sets you apart from the competition, and we here at “DFW Best Roofing” live by that same motto. That’s why we offer Quality Workmanship and Service that is second to none. We understand that your time is valuable and needs to be spent managing your business and not worrying about you roof. That’s why you can rest assured that “DFW Best Roofing ” have what it takes to get you out of the rain and back to business fast. Today’s prices are estimated to be the lowest they will be over the next 15 years. This means that with roofing materials predicted to rise 43% and looming labor cost increases just over hill you could save more than 50% on your new roof today vs. delaying your purchase further into the decade. As a homeowner, a quality roof can be piece of mind in protecting your family and your belongings from the harsh weather that Mother Nature can throw your way. That’s why Arkansas Roofing Pros offer low cost roof repair and roof replacement that last for decades. We also offer an array of services that will complement the look of your new roof and give the exterior of your home that great curb appeal. And remember, we always provide all the materials needed for the job, we always clean up after ourselves even down to the last nail, and except for the great looking work, once we’re through you’ll never even know we were there. “DFW Best Roofing” are quality installers of flat and low slope roofing materials such as TPO, PVC, and EPDM single ply roofing. We also install torch down and hot asphalt along with commercial metal roofing. Whether we fix your leaking roof, install a new roof over your existing roof without the need to tear off, or we completely remove your old roof and install new quality materials, we offer the service that is right for you. We always use the highest quality materials and we buy them direct from our suppliers so that we can pass the savings on to you. "DFW Best Roofing” the Low Cost Leader in quality roof replacement. We can replace your old or leaky roof with one of our residential roofing systems to give you a high quality roof that will last up to a lifetime and we do it all for less money than “The Other Guys”. We always use the highest quality materials and we buy them direct from our suppliers so that we can pass the savings on to you. We clean up all our trash down to the last nail, we protect your flowerbeds and surrounding objects, and we even clean out your gutters for free. Plus all our roofs come standard with Our Great Installation Warranty. Have a leak and need it fixed fast? “DFW Best Best” can get you back in the dry in no time at all. In most cases you won’t know you have roof damage until it’s too late. Once you realize there is a leak, you want it fixed fast without the hassle of waiting on a roofing company to come out and give you a price only to find out it’s more than you bargained for. That’s why “The Best Roofing” offer On-Demand roof repair. In most situations, we can give you a price over the phone before we even come out to your home. Tired of replacing rotten wood and painting the exterior of your home year after year? “ DFW Best Roofing” can remedy that problem for good by installing our top of the line Vinyl Siding on the entire exterior of your home. Our Vinyl Siding comes in over 40 colors and is impervious to rain, sleet, and snow. We also offer the thickest siding on the market. Best of all our Vinyl Siding always carries a lifetime warranty and it will never rot, peel, or dent and it will never need painting. Rain can damage your foundation. Not only is the rain running off of your roof an inconvenience when you walk out the front door, when it puddles on the ground it can damage the foundation of your home. That’s why “DFW Best Roofing” offer Seamless Gutters for your home. Our gutters are made out of high quality color coated aluminum that is rolled out of our gutter machines on site. This means that no matter how long your roof is, we can make a seamless gutter to match, and since it’s seamless, you won’t have to worry about pesky leaking joints years down the road. We install our gutters with hidden hangers made from aluminum that are screwed-in instead of nailed, this way you will never have to worry about our gutters pulling away from your roof. Best of all, since all the components of our gutters are aluminum; they will never rust or corrode and they come in 25 colors that will last forever. In the blink of an eye, “DFW Best Roofing” can install sky lights in your home to give it that warm open feel of the outside sun light. We install tubular sky lights that take the light from the sun and reflect it into your home to give off the light equal to three 100 watt light bulbs. Best of all our skylights are guaranteed to never leak and they can be installed in as little as 1 hour each without the need for a long messy remodel. If you have old troublesome skylights, we can replace them as well. DFW Best Roofing specialize in extra-large shingled roofs that are commonly found on Churches, Mosques, Synagogues and apartments. While these roofs are built from the same components as all shingled roofs, they require installers who carry a whole new set of skills, and we are proud to say that our professional installers are a cut above the rest. Not only that, we constantly clean the job site so your parking lots can stay in use around the clock and your people can come and go as needed, plus we don’t waste time. We get in, get done, and get out so that things can get back to normal fast. Best of all we always work around your schedule and we offer the same great labor and materials warranties. “DFW Best Roofing” can get you back in the dry in no time at all. In most cases you won’t know you have roof damage until it’s too late. Once you realize there is a leak, you want it fixed fast without the hassle of waiting on a roofing company to come out and give you a price only to find out it’s more than you bargained for. That’s why “ DFW Best Roofing” offer On-Demand roof repair. In most situations, we can give you a price over the phone before we even come out to your home. "DFW Best Roofing” Low Cost Leader 3-TAB Shingles installed by “DFW Best Roofing”will give your home a fresh new look, protect it for years to come, and do so at an unbeatable price. 3-TAB Shingles are made from a 12 inch by 36 inch fiberglass base sheet which is coated with asphalt and then a layer of colored granules is added to the top surface to give the desired look. A ¼ inch wide groove is cut every 12 inches to give the appearance of 3 separate tabs on each shingle. These shingles give a flat 2 dimensional look when installed and are a great way to economically protect your home from the elements while providing a manufactures warranty from 20 to 25 years. Have a leak and need it fixed fast? Architectural Shingles installed by “DFW Best Roofing” will give your home that high end dimensional look of cedar shakes while having the lasting performance and durability of an asphalt shingle. Architect Shingles start with a heavier fiberglass base sheet than the 3-TAB Shingle. This base sheet is coated in asphalt and then cut and stacked in layers in order give a random 3 dimensional look similar to cedar shakes. These shingles are then coated with colored granules to give the desired look. Due to their added weight over the 3-tab shingle, architecture shingles are less susceptible to wind and hail damage and carry a manufactures warranty form 30 years to 50 years and in some case even Lifetime. Do you range of colors metal can offer? When properly installed by “DFW Best Roofing”, a metal roof can last as long as the house itself. Our metal roofs completely seal out water, easily shed snow off low sloped roofs, and survive high winds that other materials can’t. A major advantage to a metal roof is its light weight which allows it to be installed over multiple layers of existing roofing or on homes with reduced structural support all while being resistant to fire, mildew, insects, and rot. Most of our metal roofing products carry a 20 year to 50 year manufacturer’s warranty and we even have lifetime warranty materials available. Imitation materials installed by “DFW Best Roofing” will give your home that timeless, turn-of-the-century look at a fraction of the cost of real stone materials. These roof systems are made of synthetic materials that resist cracking due to harsh weather, and resist the sun’s harmful UV rays. These materials are relatively light weight compared to real stone materials which allows them to be installed much quicker while alleviating the need for extra bracing on weaker structures and since these materials are man made, there is a wider array of colors to choose form than the natural materials. Thermoplastic polyolefin (TPO) is the fastest growing segment of the commercial flat roofing industry.TPO is manufactured with a reinforced polyester fabric and an ultraviolet-resistant formation which helps give it the ENERGY STAR rating and the COOL ROOF RATING COUNCIL (CRRC) certification. TPO has even been directly attributed to the reduction in energy used to cool buildings in warm climates. TPO comes in a variety of thicknesses that give manufacturer’s warranties from 10 years to 25 years in commercial and industrial applications.